Whether it is installation, servicing and maintenance, energy-saving and performance advice, or data acquisition, pump manufacturers can now offer utilities, contractors and other customers much more than simply their core product of a pump. 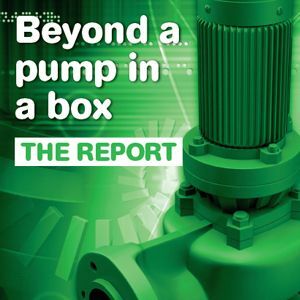 Duncan Lewis, president of the British Pump Manufacturers Association (BMPA) shares insight on how companies are offering so much more than just ‘a pump in a box’. Download the report to read the full story.